Verfasst von difficult music am 20. 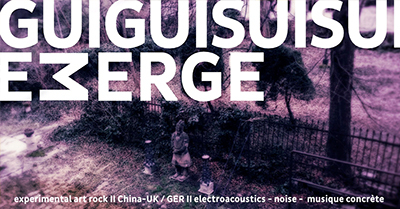 August 2018 - 13:38.
is inspired by the minimalist traditions of experimentalism and non-academic noise music, focusing on generating sound structures intended to make atmospheres emerge that are open to each listener’s own interpretation. The choice of sound sources used is usually very limited. In most cases only rudiments of the original sounds are recognizable due to various treatments. EMERGE also uses and recycles raw material from a variety of artists/musicians.